Training can and should be fun. Pawtropolis helps pet parents build strong relationships with their pets through fun-but-consistent training and leadership. Pawtropolis is proud to offer a great variety of training opportunities for dogs of all ages and skill levels. Click a category below to be directed to classes that will fit your particular dog's needs. 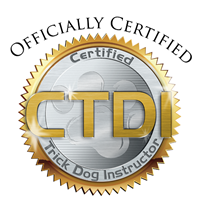 Trainers are always available by email to answer any additional questions regarding training or to help direct you to which type you and your dog would be best suited for. Sign up for classes in person at Pawtropolis Westside or call for registration over the phone at 706-227-7887. All training classes are held at our Westside Whitetail Way location (with the exception of off-site training fieldtrips.) We look forward to working with you and your dog! 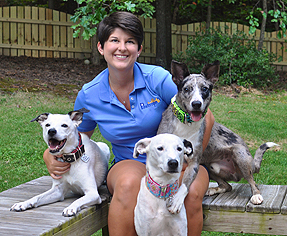 You may want to visit Amanda's Training page and follow her and her dogs as they compete. Also, check out our Common Sense Guide to House Training. Amanda is the owner of Pawtropolis. Athough she has turned over most of the training duties to her other trainers occasionally she jumps back in and offers a specialty class. Amanda has been doing competitive training since she was 15, obtaining numerous titles on several dogs. She's obtained 5 CD titles, 2 CDX title, 2 RAE titles and 3 Master Agility Champion titles. In total she's obtained over 40 AKC titles and numerous others with various breed clubs. She currently competes with her own dogs. You can keep up with the status of her competitions on her training page. She excels in agility, obedience, rally and more. Her training philosophy as well as that of Pawtropolis is to be open minded with training. Amanda suggest you learn as many different techniques as possible so you can use whichever approach works best for your particular dog. Amanda's main goal is making sure owners have the skills they need in order to have a well-balanced, well-behaved, and happy member of the family. Kathie Spring is the instructor for the Tuesday night Puppy Class and the Conformation Class. Kathie has lived in Georgia since 2003. Since 1981, she has trained several breeds of dogs including Doberman Pinschers, Dalmatians, Swedish Vallhunds, West Highland White Terriers, Pekingese, Irish Setters and mixed breeds. She currently owns one Doberman Pinscher, one Chihuahua, one mixed breed and three Swedish Vallhunds. 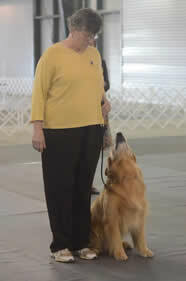 Kathie has earned titles in conformation, agility, obedience and rally. Kathie has been teaching Puppy classes at Pawtropolis since 2004. She is also teach conformation handling classes. Kathie has experience judging fun matches in both obedience and conformation and has attended many seminars dealing with dog training and behavior. She is a member of the Elmira (NY) Kennel Club, the Ithaca (NY) Dog Training Club, Inter-Bark Dog Trainers Sports Network (NY), The Dalmatian Club of the Finger Lakes (NY), the Oconee River Kennel Club (GA) and the Swedish Vallhund Club of America. She has served these clubs as president, vice-president, secretary, show chairperson, match chairperson, trophy co-chairperson and board member. For Kathie, “Training” is the key word. 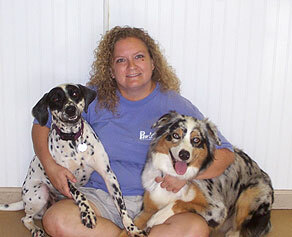 As an instructor, her objective is to provide her students with the means to train their dogs. As an owner, her goal is to train her dogs to be enjoyable companions and to achieve their potential as competitors. Tamela is the lead instructor for the Great Beginnings class and Behavior Solutions.. She also does many of our private lessons. Tamela's personal dog Skoochie (aussie pictured here) has her Rally Novice title and is currently competing to earn her Rally Advanced. Tamela is a school teacher who began her training road by taking a Pawtropolis Basic Obedience class almost 5 years ago with her oober dominant dog, Skoochy. After that, she took the advanced class offered at Pawtropolis. At the end of that class she was not finished learning and it was summer time, so she applied for a job at Pawtropolis and continued learning while working with the daycare dogs. When school started back, she began assisting Amanda Rodriguez with her obedience class and private lessons. Fast forward to now, and she's taken over the obedience class AND the private lessons. Tamela says she's learned as much about dog behavior from the dogs at Pawtropolis and her own private pack, as she has from her formal training. Her style of training can be best described as 'whatever works'. She evaluates each person and their dog to determine the best route to eliminating unwanted behavior and fostering manners. Tamela has successfully helped that stubborn dog of hers, Skoochy, earn an advanced Rally title and has plans to earn a CD title next. Billie Rae moved to Athens to attend Athens Technical College and obtain a degree in Veterinary technology. She began learning about dog behavior when she started working at Pawtropolis in 2005. She has attended regular obedience classes, clicker training classes and agility. 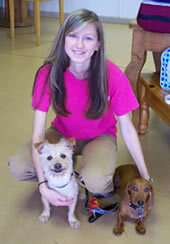 She has assisted Kathie with puppy class since 2007. 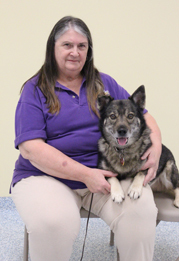 She has also began taking confirmation classes and helps Kathie show her Vallhund girls. She is a full time Registered Veterinary Technician and enjoys using all of her puppy knowledge to help owners and puppies enjoy each other. 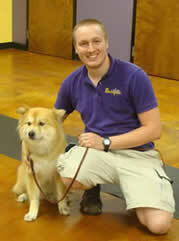 Shane co-teaches the Pet Manners and CGC Prep classes. Shane has been working at Pawtropolis since 2007 and has been an integral part ever since. Shane received his obedience instructor certification from Animal Behavioral College in 2009. He believes in balancing corrections with positive reinforcement and making dogs think to solve problems. Sally has been involved with retrievers for over 20 years and has competed in conformation, agility, rally and obedience. She did therapy dog work through Therapy Dogs International with her first Lab and has applauded loudly for her husband when he's taken their dogs into hunt tests. She's trained not only her own dogs but friend's dogs as well, and taught all class levels at Dogwood Training Academy/ADOG for many years. Prior to working with dogs, she rode and showed hunters from her teen years on and gets a lot of the same thrill and gratification from showing her dogs as she did with the horses, except that the dogs are much more portable and they can stay in the motel rooms with you! 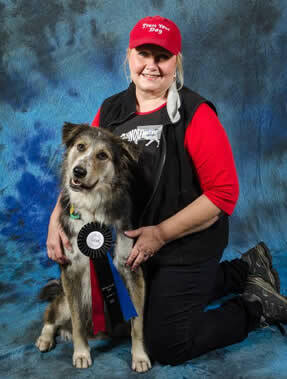 Sally’s greatest love is competitive obedience, and her dogs have titled from the Novice through Utility levels. Her female Golden, Summer, competed at multiple regional and national competitions in both obedience and agility, and her male, Reo, placed in both the breed and obedience rings at Golden Retriever National specialties. Upcoming performance partners are Patrick and Mayzie. Sally’s goal in training is to keep the dogs interested, happy and eager to work. She pushes hard for good scores and works extra hard to keep her partners as "up" about it all as she is (since they otherwise would be sleeping on the couch). Sara Beth is our only Certtified Trick Dog Instructor. 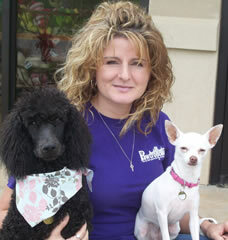 She has worked with companion pets for nearly 15 years, including over 5 years with Pawtropolis. Along the way, she earned BSAs in Avian Biology and Biological Science and a PhD in Avian Biology, worked as a professional dog walker, and spent over a year as a keeper aide at the National Zoo, but realized that she preferred a full-time career working with well-loved pets. She is very excited to be back and thinks that Pawtropolis is the best of the best when in comes to pet care. She began training dogs over 8 years ago when she adopted her first dog. She and her rescue dogs Bailey and Icey h ave earned agility titles (AKC, USDAA, & NADAC), coursing titles, and trick titles. Her Helping Paws Rescue alum Icey is an Advanced Canine Good Citizen as well as a certified therapy dog. Sara Beth recently adopted a new dog Nimbus and she is very excited about training him for agility, tricks, rally, obedience, and flyball. The sky is the limit! Sara Beth's philosophy is that training, whether it be for manners, tricks, or competition, should be a fun and exciting game for dogs and humans alike. This is also her approach to dog ownership and she loves helping people to enjoy their pets! I have spent the last 2 years studying and earning the proud designation of CNWI. 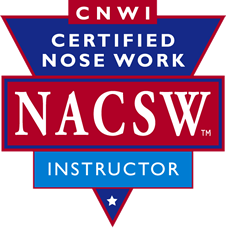 My certification with the NACSW, National Association of Canine Scentwork, was one of my proudest moments. I became excited about Nosework when I realized the benefit for every dog and owner. As a CPDT-KA certified instructor, I have taught many dogs who just need an outlet. When I learned of Nosework I knew this was something that could benefit all dogs and owners from shy to reactive. I began using it to boost confidence in many recently adopted shelter dogs, and in others adress energy concerns. I am excited to bring my knowledge and that of the NACSW founders to the Athens area and Pawtropolis clients. I have been training since I was 3 years old I’ve been told. I began obedience competition with my dogs in college at the Universtiy of Georgia! I’ve always been a Dawg! I have competed nationally for 10 years in Agility with my dog Daisy, and earned many titles in all Agility organizations including AKC, USADA, NADAC, ASCA More recently, I have been training dogs for Canine Good Citizen, Basic manners, and Reactive dogs. I have created a program for these dogs called Who Stole My Zen? I also am a CPDT-KA. This certification is the only one in the U.S. that certifies trainers based on hours of teaching ,testing and knowledge. It also requires continuing education to maintain your certification. I love that I continue to learn from the dogs. My heart has always been in rescue and I have been a facilitator for rescues to get dogs in need out of Ga shelters and to loving homes. There are over 500 in loving homes now that I have fostered or helped with. The way I can make a differ ence is to train you to understand your dog so that you and your dog will have a happy life! My pack consists of PawPaw, age 4, rescued from Gordon Co., and foster failed, currently holds an NW1 Title in NACSW, Bella, age 5?, rescued from Hall Co, still looking for her forever home, Daisy, australian shepherd,Age 15, backyard breeder rescue, retired agility champion and nosework lover, Kyma, austraiian shepherd,age 11, rescued from breeder as she was being dumped at a shelter for having no “color”, frisbee and agility fanatic, and living with Addisons disease, Raider, australian shepherd, age 11, another backyard breeder, lover and Nosework fanatic. I am so excited to meet you and your canine companions! We are going to have fun!!!! Every year thousands of dogs are surrendered to animal controls due to destructive behavior. Most commonly owners simply don't know how to stop the unwanted behavior. The good news? Training can be both easy and fun. Our trainers are very open minded. They don't adhere to strict training methods that may not work for all dogs. Our trainers encourage fun positive training and teach owners how to be leaders throughout their everyday routines. Small changes in the home can lead to big differences in the dog's behavior. Whether you seek training with Pawtropolis or elsewhere, getting the help you need is invaluable. Please contact us with any and all of your training questions and concerns. We are always happy to help.